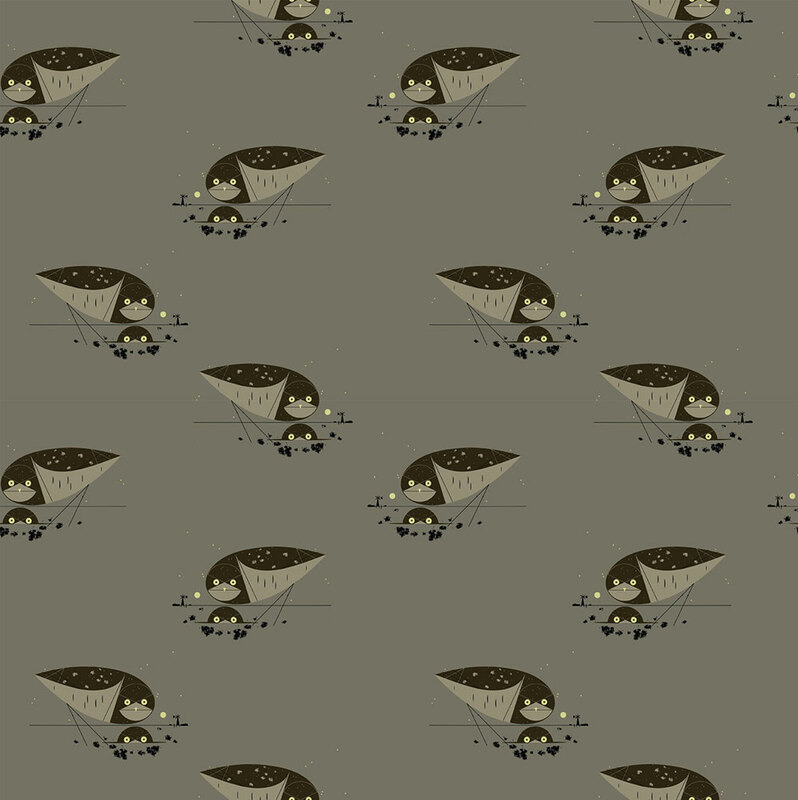 Black and greyBurrowing Owls with bright yellow eyes on a grey green background. Organic cotton by Birch Fabrics from the Charley Harper Collection Western Birds. 100% Organic Cotton 44"-45" wide.